Entry by Simon Love on Thu Aug 8 17:35:09 2013.
this picture is cool. 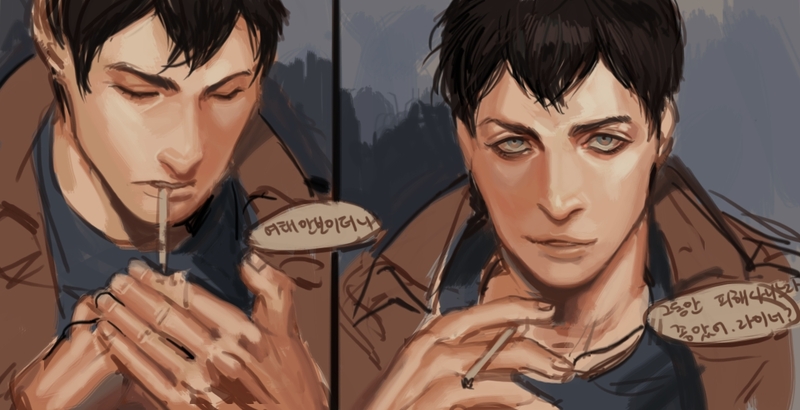 But,that cigarette and the expression doesn't match with his personality , reminds that Bertholdt is a nice-looking guy. What if Bert is actually not a nice guy? I say his personality, not his behavior.